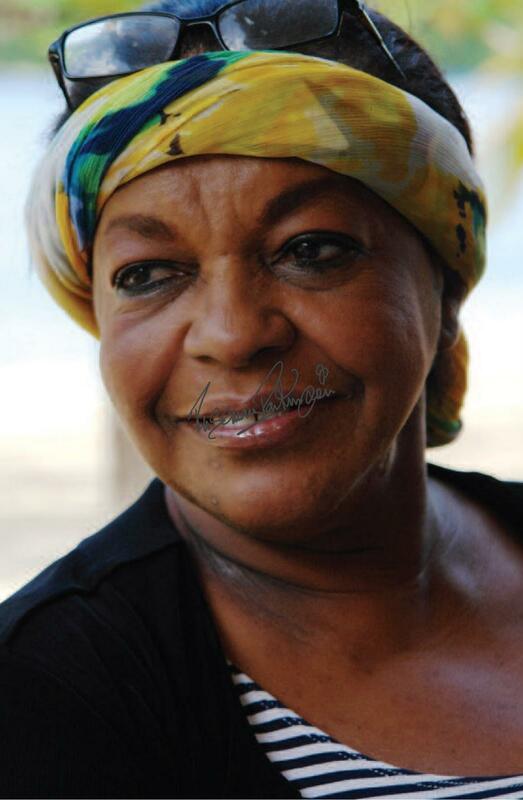 On November 1st, 2010, the Caribbean lost Chef Norma Shirley. She was my best friend and my mentor and no matter wherever I was during the ten years I knew her; we spoke almost daily on the phone. This amazing woman, this salt-of-the-earth-larger-than-life figure succumbed to a broken heart with the added complication of pneumonia. And I say ‘broken heart’ with impunity, for we in the islands generally only begin to realize what we have truly lost, in death. It is then that we suddenly awake and wish we had given and revered more, in life. The idiosyncrasies of sometimes being far too creative, inventive, inspired, innovative and original for the business of making money is seen as imprudent, irresponsible or foolish and is the root of deep antagonism to those whose life depends on the almighty dollar – the jealousies of having been born with these gifts often the result of man’s inhumanity to man. Add to this the pain of nurturing many who would not have otherwise had such an opportunity, only to be left with the return gift of sorrow instead of love, loyalty and respect and we have a resulting end – one that has been often quoted in numerous books, plays, films et al – a heart that gives up and a soul that removes itself to find a better place. However, not all is lost in love and war. 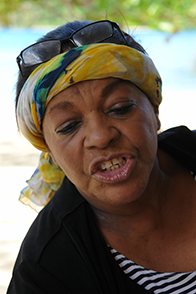 And I would like to believe that Norma Shirley’s compassionate sharing of her incredible talent and huge capacity to love with impunity; her desire to see a better Jamaica not only in the cuisine of the island but in average daily life of each and every one of its people, will be the primary teaching that remains with us for time immemorial. So let us now just celebrate Norma Shirley, the Grand Dame of Caribbean Cuisine, with a synopsis of her larger-than-life existence on this divine earth. Born in Clydeside within the hills of St. James on August 13th, 1938, the daughter of Lucy Gibson and Verley Smith, Norma spent her formative years roaming the family lands, cared for by those who toiled the earth but n urtured by the loving wide network of Lucy’s family. Perhaps this was the beginning of Norma’s spirit of independence and her love of adventure. Moving to Kingston she resided with Mrs. Joyce Lalor (the much-revered soprano) attending St. Hugh’s and graduating in 1954. Her desire to become an architect or designer was quashed early in life; her only possibility for a future was to become a nurse or a secretary. Norma Smith chose the former and set off to Glasgow, Scotland, to the Southern General Hospital. With this step Norma showed an early aversion for convention – others went to London – she chose a city and a school where blacks had not yet broken ground. Norma opened a catering and food styling business but The Big Apple proved to be harsher than she expected. She wondered if she had made a huge mistake. After months of struggle, a phone call from Polly Mellen of Vogue Magazine would propel Norma’s career opening doors to working with the likes of Andre Leon Talley and many of the most famous photographers in New York – all of whom loved her style, dramatic flair and, of course, her ability to create tastes that delighted the palate without fail. Once her son Delius went off to boarding school, Norma felt the pangs of loneliness that a big city can impart and yearned for ‘home’. Inspired by the UN’s International Decade for Women she returned to Kingston, Jamaica, determined to revolutionize Jamaican cuisine both in style and presentation opening the first Norma’s on Belmont Road. There was to be another Norma’s later in downtown Kingston. 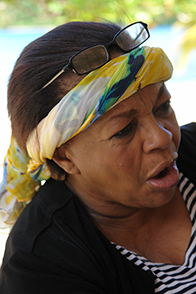 “If I had remained too still for too long, dem would’ah tiefed me,” she told me one day amidst peals of laughter, “so I just packed up and left for Montego Bay!” It was at the beautiful seaside restaurant The Wharfhouse that Norma’s reputation grew as fast as her clientele – Jamaicans and overseas patrons, the rich and famous, Gourmet magazine, Bon Appetit, Conde Nast Traveller, they all came to sit dockside to taste Norma. 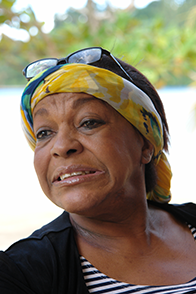 But Kingston called her back and before long Norma was involved in opening a new restaurant on the open verandah at the rear of the historic Devon House. Believing in helping others, she took on the arduous task of training staff that had never seen the likes of such cuisine, some not even being able to read or write. Using as much local produce as possible she preferred to purchase from the small vendors on the ‘side-ah-road’, at Coronation market downtown Kingston, Papine market near the entrance to the Blue Mountains or JoJo’s where the more discerning shopped, always picking (and quarrelling at the same time) the best they had to offer. Nothing was too good for her clients. Norma, the tempestuous storm, with her interpretation of Jamaican cuisine, presentation and overall style worked assiduously from early morning to late at night to propel her staff and her restaurant to the top. Norma’s On The Terrace became the seat of Jamaican gastronomy. Alas! The only constant thing in life is change. And Norma, frustrated by circumstance, stifled by those who could not understand that even in this present economic downturn her cuisine still had to remain as excellent as it always was even though her usual top-class ingredients were now more expensive, she made a decision to remove herself graciously and look to the future. A restaurant spot within the folds of the Devon House she loved and cared for throughout her stint at the terrace, became available. She approached Gloria Palomino, her long-time friend who without hesitation, and together with Tino Caldarelli, offered Norma a new venture. Norma’s contribution to Jamaican cuisine was not to be lost and the Grog Shoppe was born. A new life had begun and Norma, ever confident, found new zest. Unfortunately, life is also filled with those eager to unleash the vagaries of unfairness, and Norma spent her last days in grief and sadness as lawyer’s letters and ‘bad-mouthing’ reigned from her previous situation. Her already precarious health due to a diabetic condition, was affected, and she developed pneumonia. Norma gave up and succumbed. 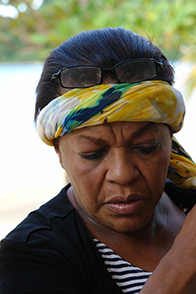 As a people, we sometimes pay no heed to the implications of our actions but one thing this I do believe – “God does wear pyjames but he doan sleep.” Norma’s story has no end, her life no real termination as long as I have the ability to write and document. 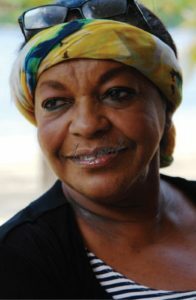 Norma Shirley leaves behind her mother, Lucy Gibson; her son Delius and his life-partner Chef Cindy Hudson; her family and friends; her trusted helper Ray James; her accolades by several international magazines who repeatedly named her restaurants in the best 60 of the world; international and Caribbean Chefs that openly acclaimed her work; The Jamaica Observer’s Annual Table Talk awards that were received over several years; The Observer Chairman’s Award in 2002; The Prime Minister’s Medal of Appreciation for Service to Jamaica in 2003; her contribution to Nyam Jamaica – a culinary tour. Norma’s swan song is now The Norma Shirley Scholarship Fund that will continue to be used to help deserving culinary students to further their training abroad. Bless. Donations to The Norma Shirley Scholarship Fund are invited. RBTT Jamaica, Tropical Plaza – A/C#4410317200528804. Featured Food Channel – Travelling Jamaica. Restaurant in Jamaica. The New Yorker – article by Jessica Harris. Guest Chef for the Venice Beinnale, Washington, D.C. Guest Chef at Almond Tree Resorts (Barbados). Represented Jamaica at the ‘Cuisines of the Sun’ held at the Mauna Lani Bay Hotel in Hawaii. Guest chef (the only Caribbean chef) at the James Beard Foundation, New York. Feature speaker at the New York City American Institute for Wine and Food’s NAFST 1997. Appointed to the Board of the newly-constituted Caribbean Culinary Federation (CCF) Board’s new Blue Ribbon Board. Island Style Magazine – Featured. February – hosted Chaine des Rotisseurs Dinner – Jamaica. The Food Channel – Sarah Moulton Live.